The Oldest Black-Owned Restaurant in the U.S. -- In Business For More Than 100 Years! 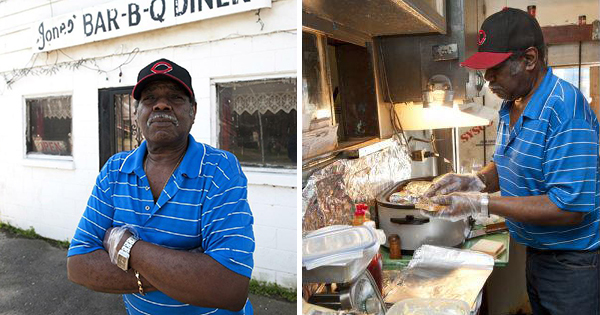 Jones Bar-B-Q Diner in Marianna, Arkansas is believed to be the oldest Black-owned restaurant in the country. Currently owned by James Jones and his wife Betty, the diner has been open since at least 1910 and is still widely known for serving the best barbecue pork with a secret sauce. James' grandfather, Walter Jones, was the founder and first pitmaster. As the oldest African-American-owned restaurant in America, having been around for several generations, the diner remains true to it's roots. James tends the pits, and his cooking apparatus is still elemental. And the pork shoulder, hacked into savory bits and served on white bread with a spritz of vinegary sauce, is as smoky as ever. In 2012, the restaurant was honored by the James Beard Foundation (the Oscars of the food industry) for it's "timeless appeal" and a quality of food "that reflects the character of their community."